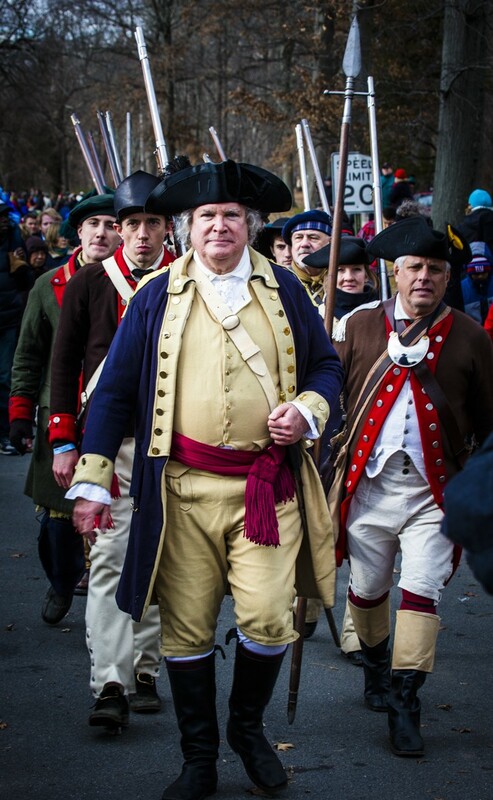 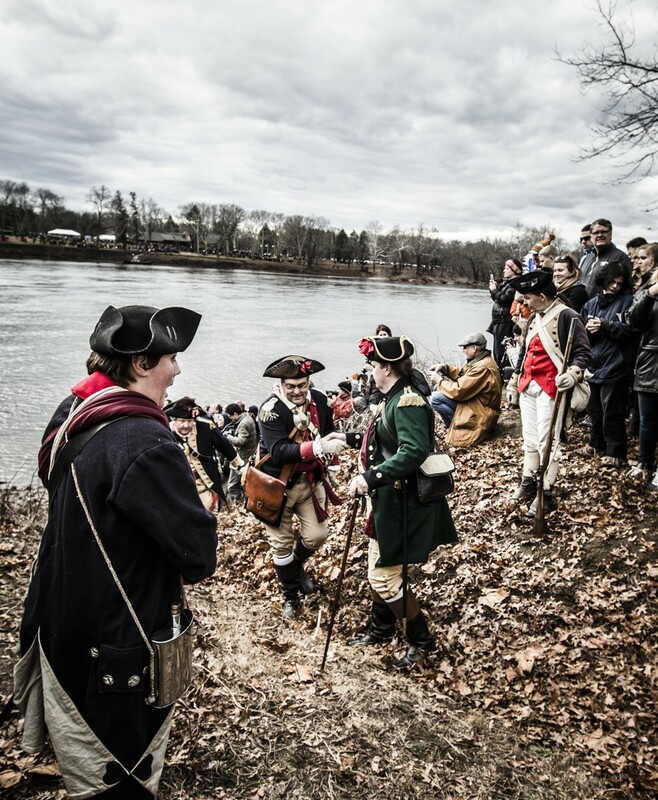 Every year on Christmas Day, fellow citizens from around the country come to Bucks County, PA to watch several hundred reenactors clad in Continental military dress reliving the historic event of Washington’s Crossing of the Delaware River at Christmas night in 1776. 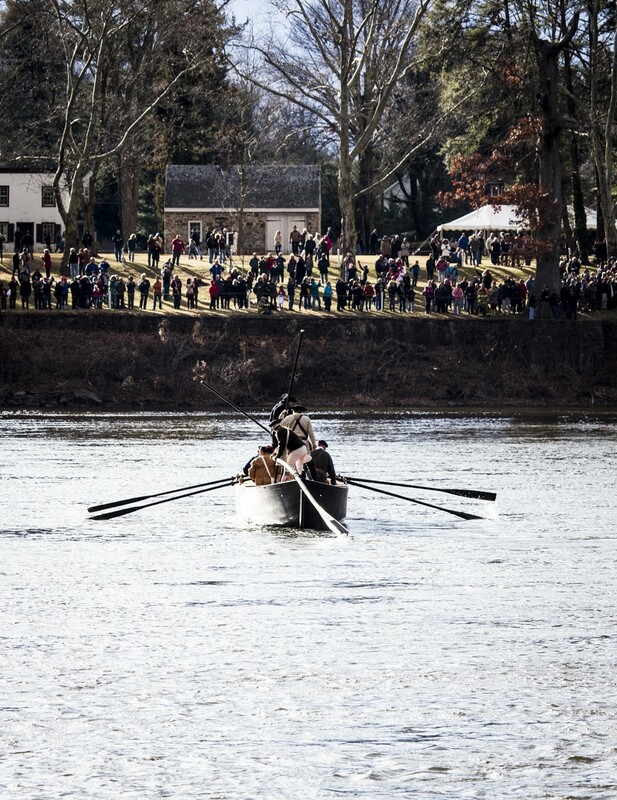 This year, I joint the spectators to experience this monumental event first hand. 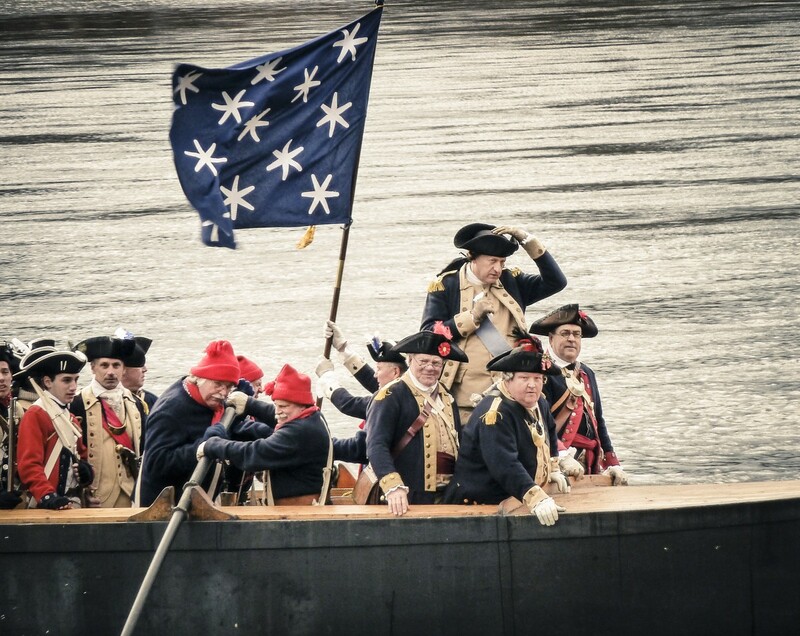 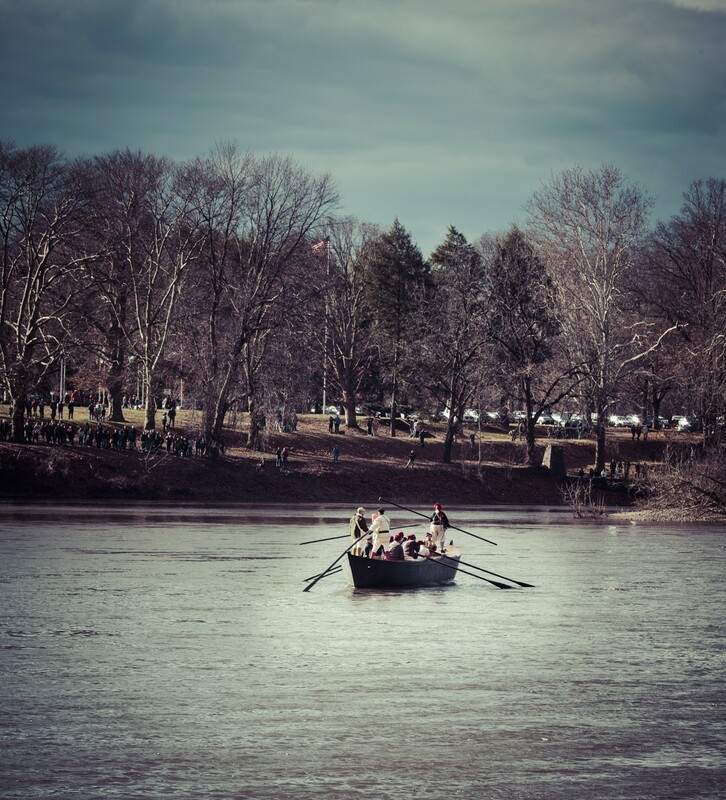 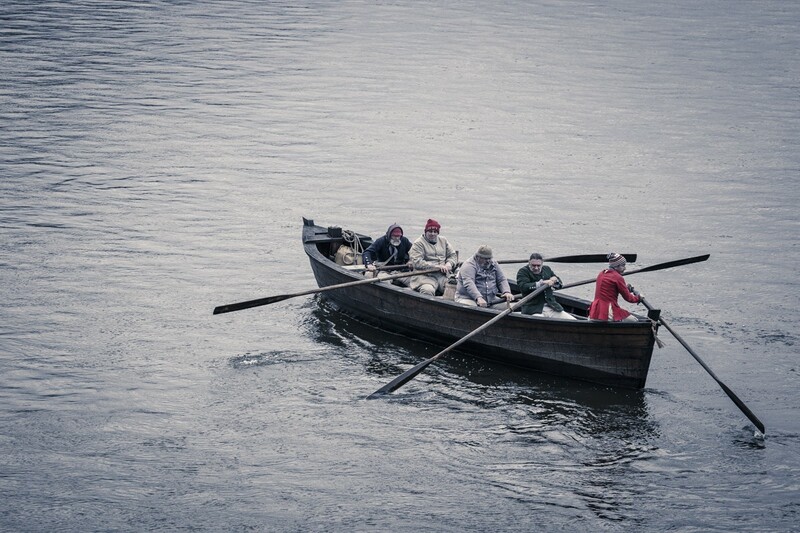 Under perfect conditions – very different to the night when General Washington led his men – three rowing boats brought a group of soldiers from Upper Makefield Township, PA to Titusville, NJ. 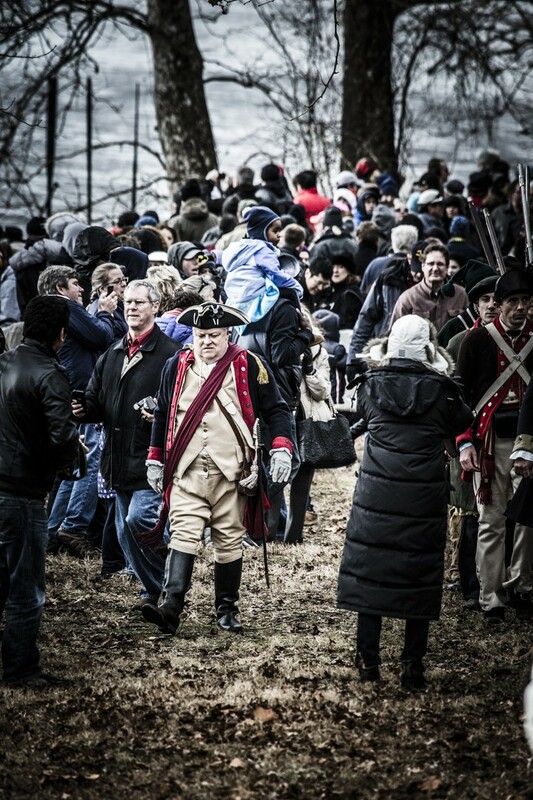 In the winter of 1776, General George Washington and his ragged army had experienced only defeat and despair. 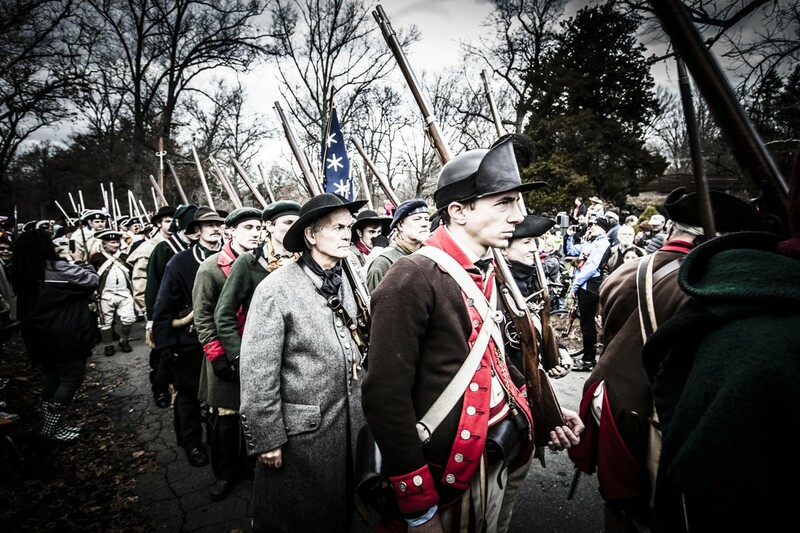 The War for Independence was going badly, with failure following failure. 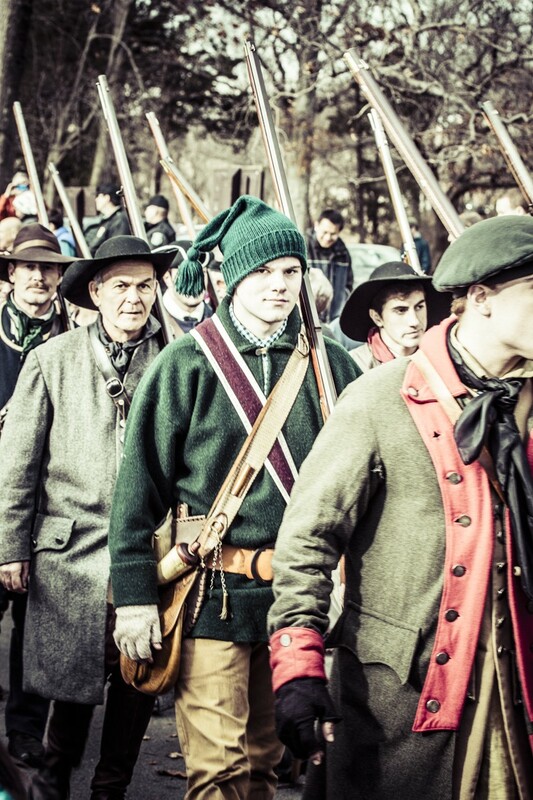 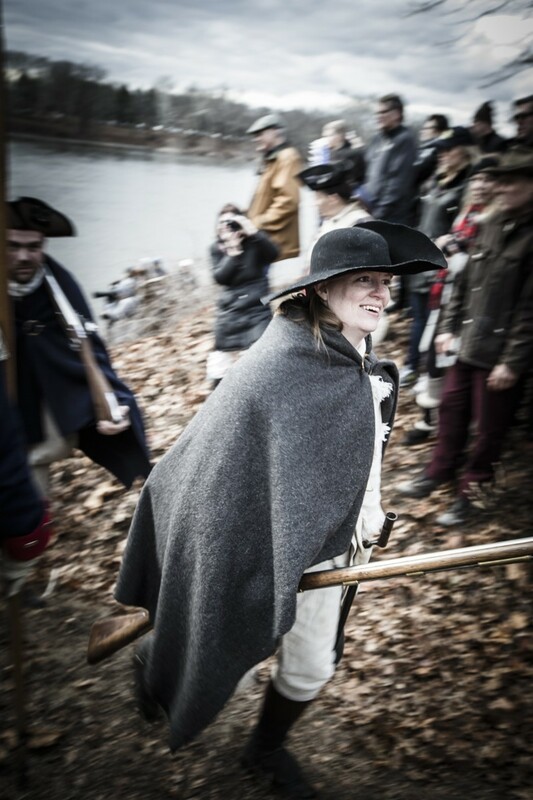 The Continental Army had little to celebrate that Christmas and seemed beat by hunger and cold. 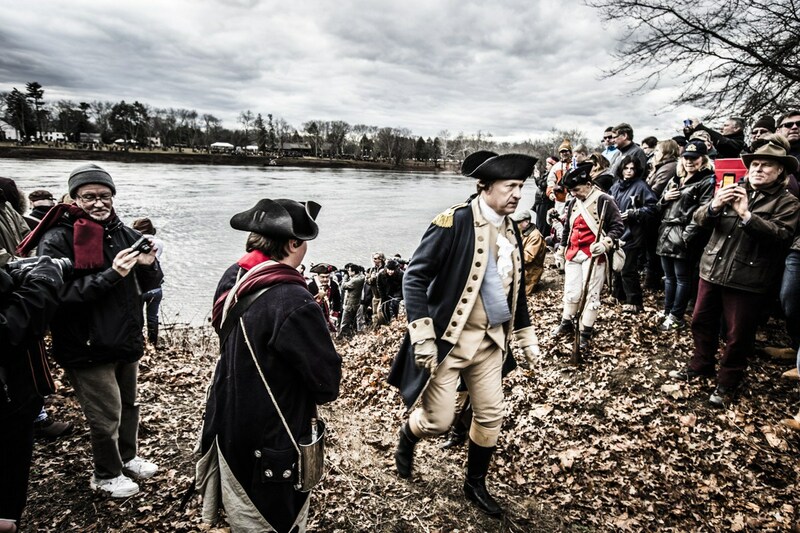 In the preceding months, Washington’s campaign in New York had not gone well; the Battle of Long Island ended in a loss when the British troops managed to out-maneuver the Continental Army. 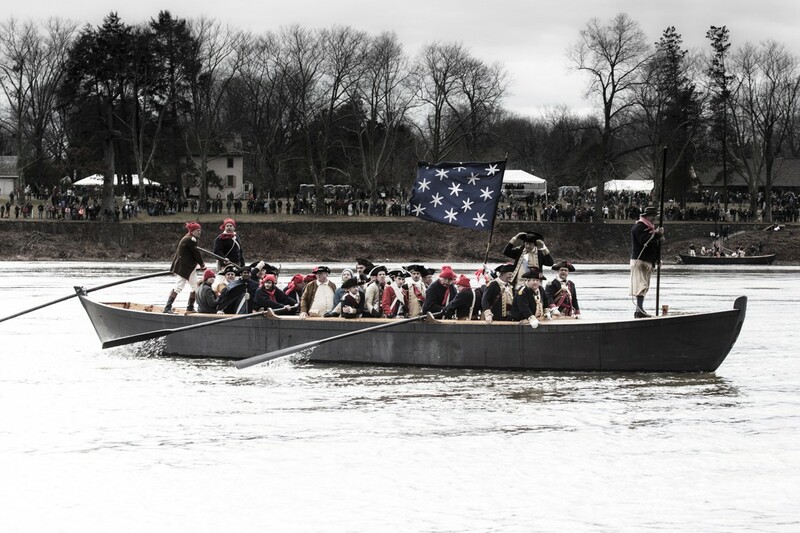 A series of defeats settled around Washington as he was forced to retreat across New Jersey to Pennsylvania on December 7 and 8. 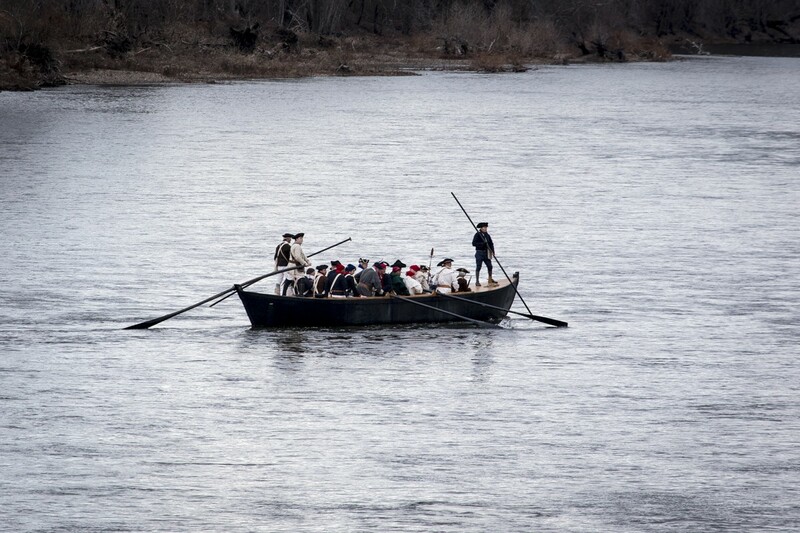 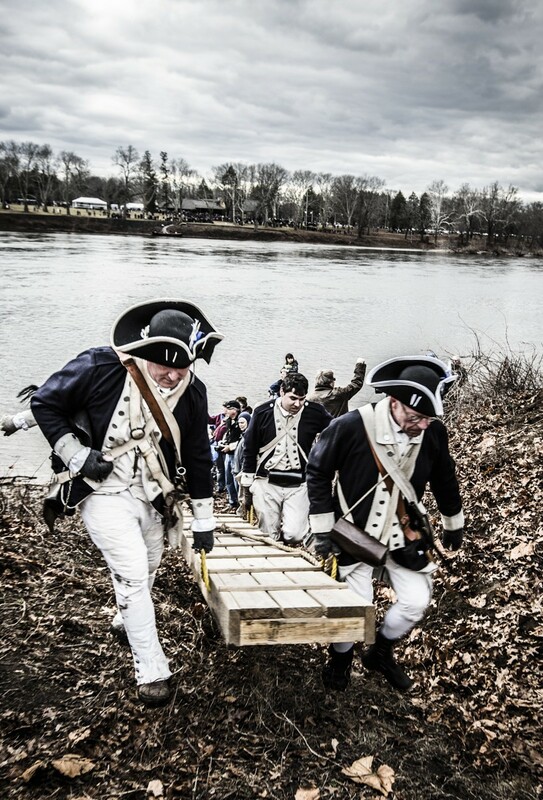 Fully expecting to be supported by two divisions south of Trenton, Washington assembled his own troops near McConkey’s Ferry in preparation for the crossing. 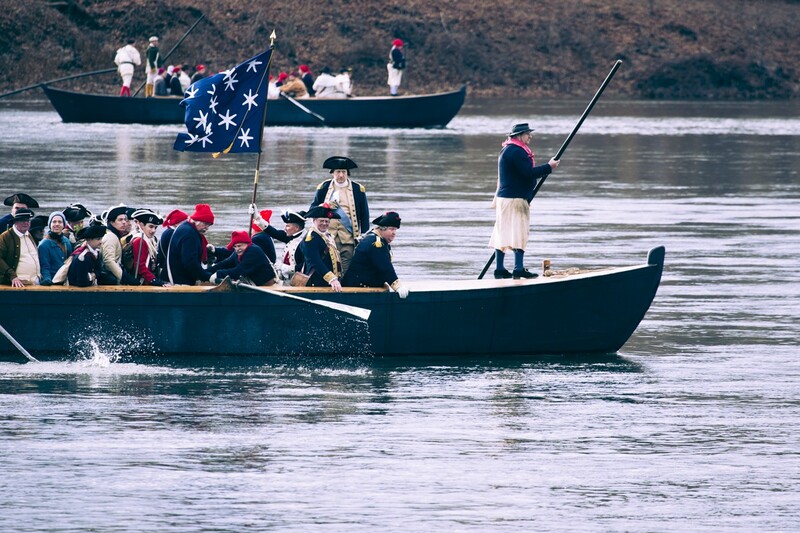 By 6 pm on Christmas night in 1776, as a howling nor’easter struck the Delaware Valley, 2,400 troops had begun crossing the ice-choked river. 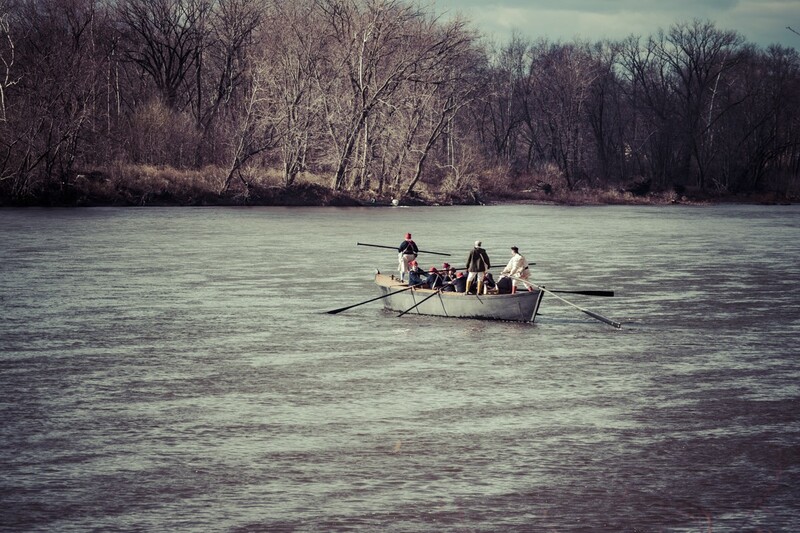 The operation was slow and difficult due to the condition of the river. 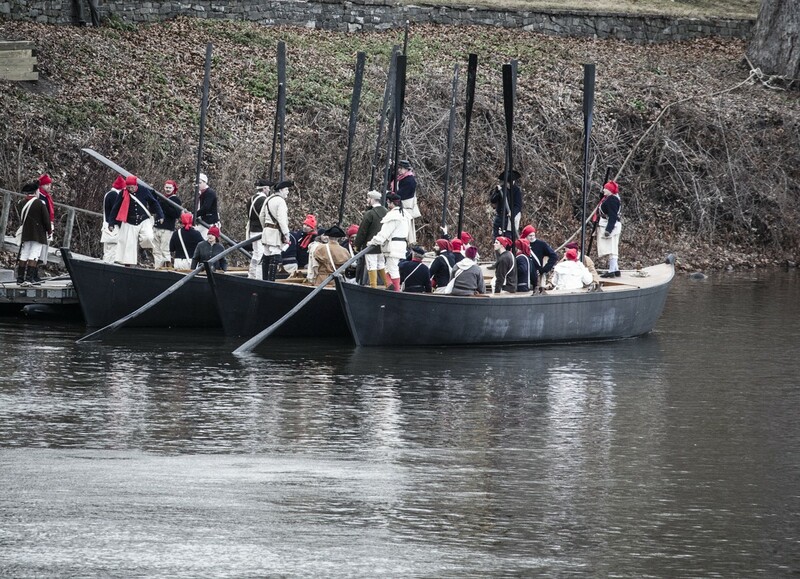 There was an abrupt change in the weather forcing the men to fight their way through sleet and a blinding snowstorm. 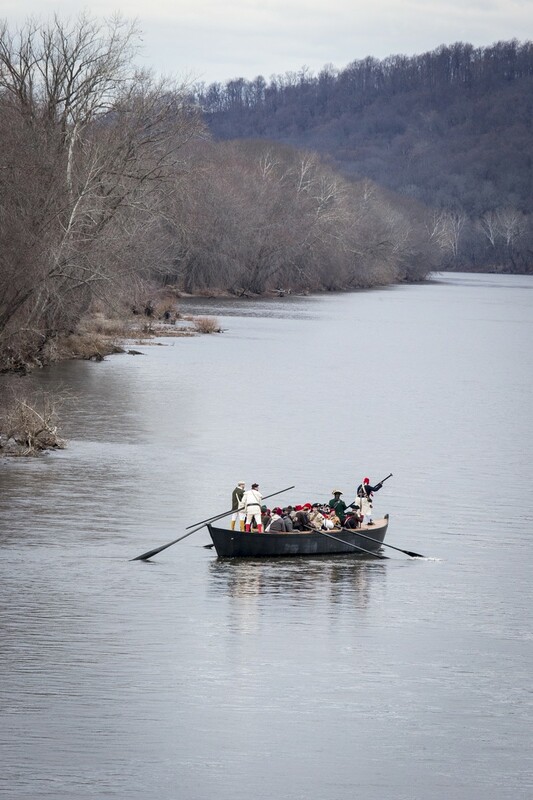 These obstacles proved to be too much for the supporting divisions led by Generals Cadwalader and Ewing, ultimately preventing their crossing at southern points along the Delaware. 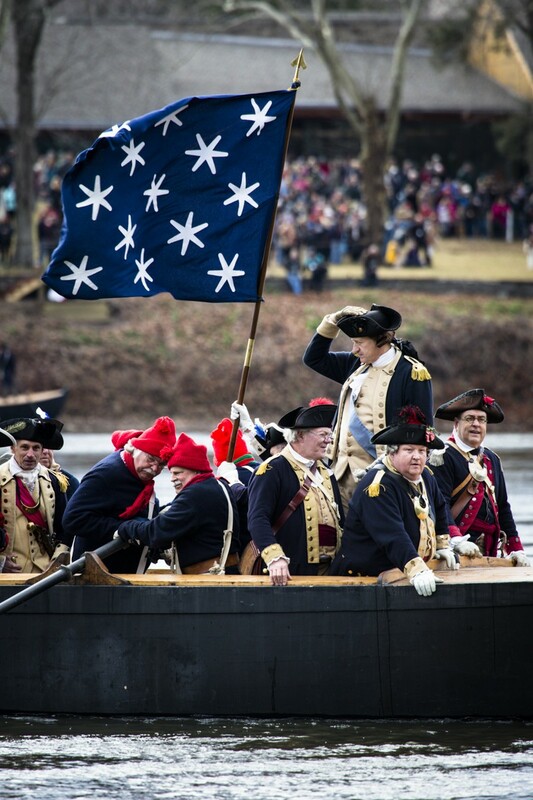 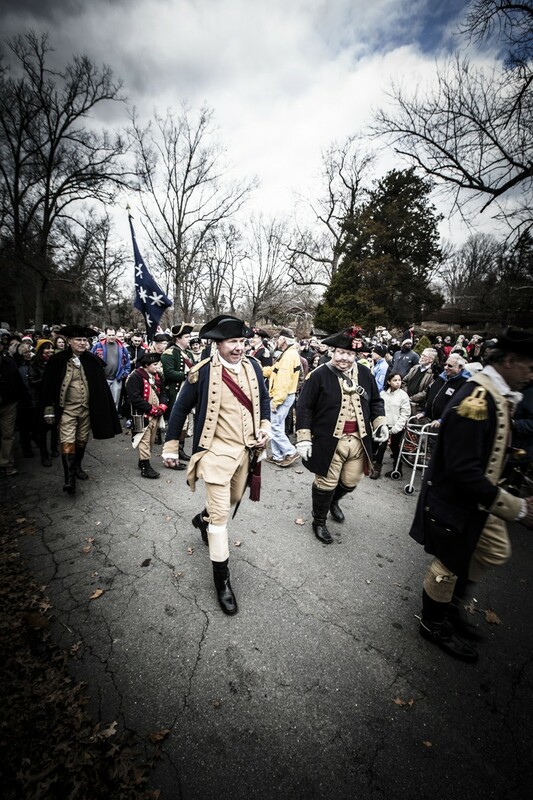 Against all odds, Washington and his men successfully completed the crossing and marched into Trenton on the morning of December 26. 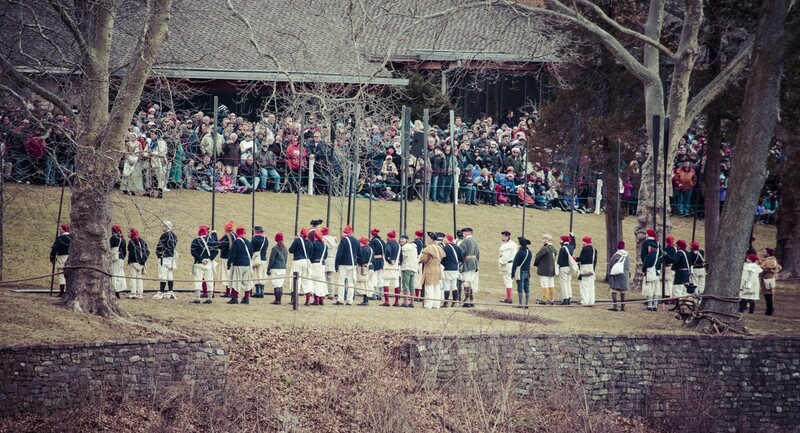 They attacked the exhausted Hessian garrison at Trenton, killing or capturing nearly a thousand men. 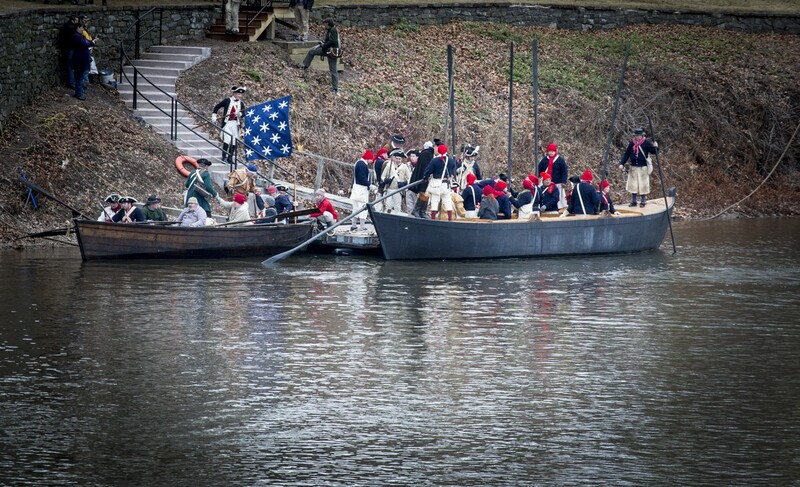 A second battle of Trenton followed within days. 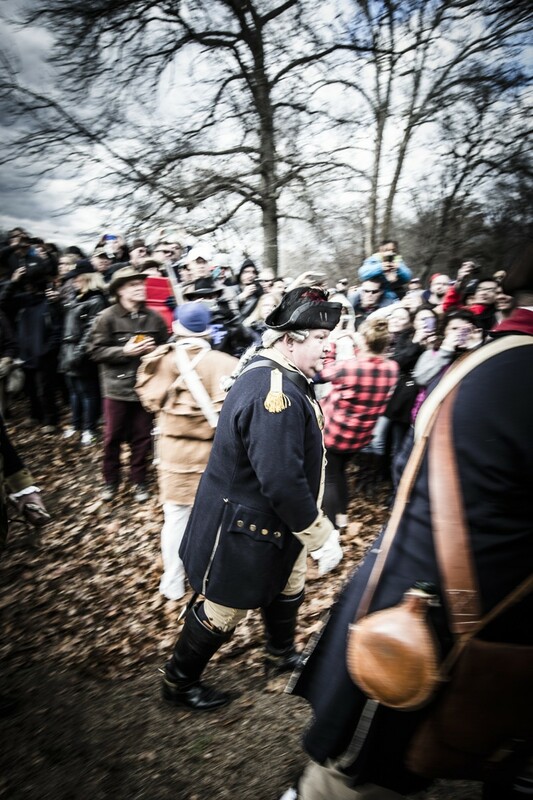 The Americans held off a counterattack by Lord Cornwallis’s best troops, then were almost trapped by the British force. 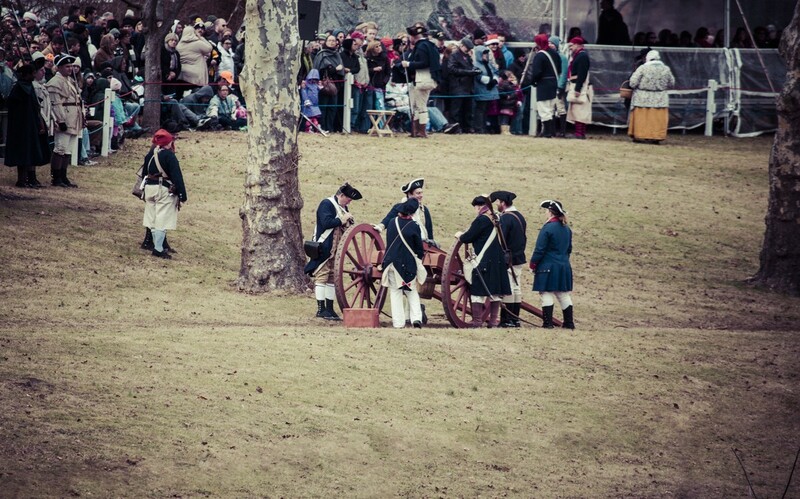 Under cover of night, Washington’s men stole behind the enemy and struck them again, defeating a brigade at Princeton. 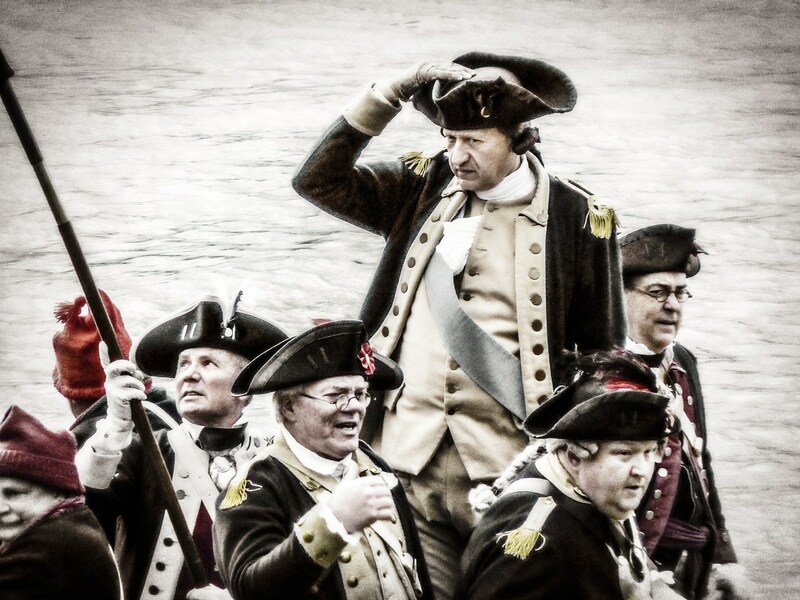 The British were badly shaken. 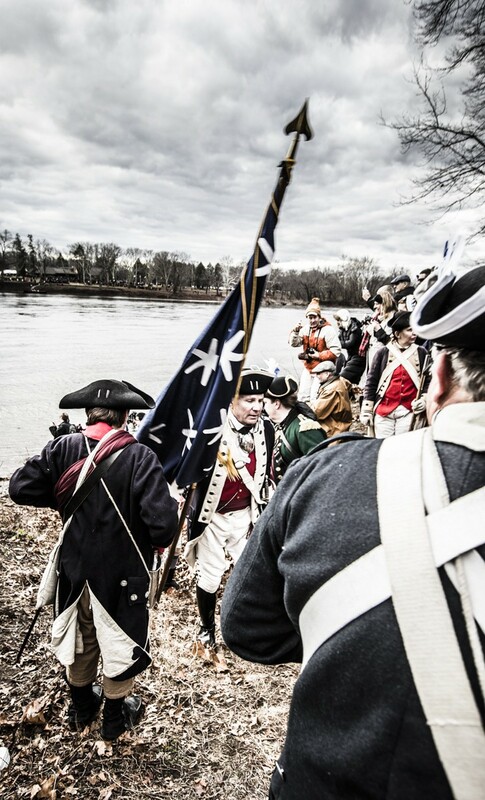 In twelve weeks of winter fighting, their army suffered severe damage, their hold on New Jersey was broken, and their strategy was ruined. 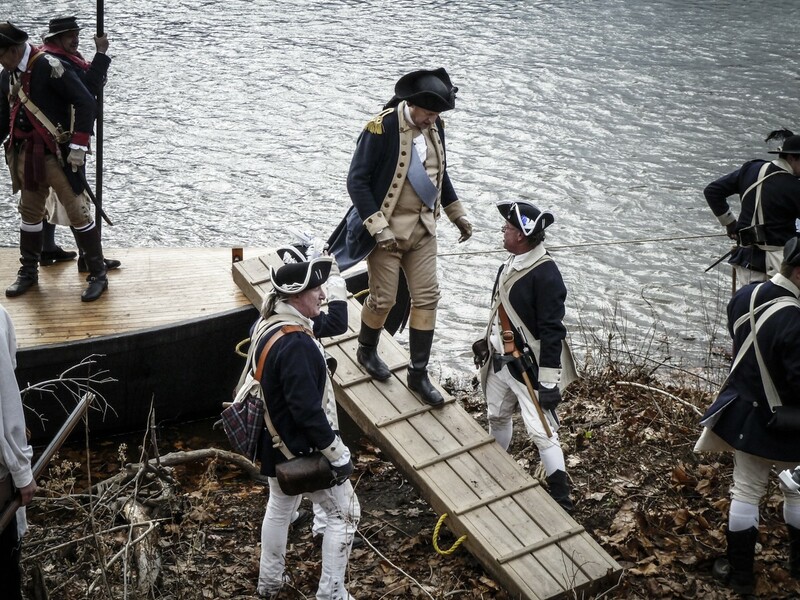 By moving ahead with his bold and daring plan to cross the river under the cover of night, Washington re-ignited the cause of freedom and gave new life to the American Revolution.